Where hard floor cleaning is concerned, our company is concerned, too. We are a cleaning services provider and we have been operating here in Maida Vale for many years. 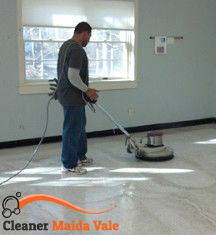 We have helped a great number of people get their hard floors perfectly cleaned. You might think you are doing a fine enough job with your hard floor cleaning, but you are wrong. In time you will realise that they need a regular professional cleaning, in order to keep their original look and brilliance. Hire us and we will show you the difference. 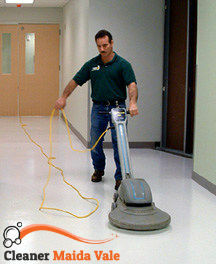 By choosing our company, you will get your floors cleaned by our amazing and unmatched professional cleaners. And you will save yourself some money with our reasonable and economical prices. So feel free to call us right away and make an appointment. Our cleaners will come to your home with everything necessary for a competent cleaning service. They will use our strong and efficient cleaning products, and an appropriate cleaning machine to clean your hard floors. We clean marble, stone, terracotta, terrazzo, tiles and grout, etc. Furthermore, after the cleaning process is done, our cleaners will get to polishing. They have amazing abrasives and buffing machines that can polish your hard floors and leave them looking brand new. We guarantee you sparkling clean and shinning hard floors. Contact our phone assistants now and books us. Get the best hard floor cleaning and polishing service in W9, Maida Vale. Copyright © 2019 Cleaner Maida Vale. All Rights Reserved.